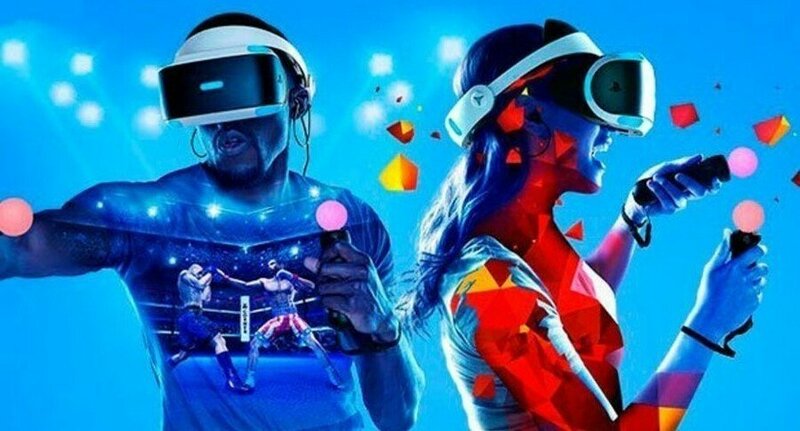 PlayStation VR enjoyed a humongous showing during yesterday’s State of Play livestream, and Sony has since announced that the headset has now sold through more than 4.2 million units worldwide. This is up on the three million units that the peripheral had moved back in August, suggesting that the device proved popular over the all-important holiday period. The good news is that the Japanese giant is clearly doubling down on support, with titles like Blood & Truth and Iron Man VR part of the next wave of software for the exciting add-on. Have you bought into the virtual reality hype yet? What games are you looking forward to next? Enter a different dimension in the comments section below. I really loved the State of Play session, VR has so much potential and it will get just better and better from this point on, regardless of the hate people are showing. Adding VR mode to No man's Sky is just prove that more and more developers will get into VR, that Concrete Genie looks fantastic. Thanks Sammy for the info. Good to know. Heard about No Man's Sky, might be tempted to give it a go, space exploration & VR seems like an obvious mix. Still have no incentive to purchase a VR.. I have no interest in VR. While I play games to escape day-to-day life, the idea of being completely detached from the world around me is not appealing. I am glad to see it is doing well; it's just not my thing. Still buzzing about the NMS VR announcement last night. Reinstalled the game right after. Genuinely excited about just sitting in the cockpit and drifting. This is really fantastic news.Bought my PSVR just after launch and even though I don't play it often I still love it. The amount of games available for the system is extremely impressive and I'm loving the fact a lot more games are being made VR compatible. It’s amazing how well PSVR is doing. Many people predicted it would be a short-lived fad. On the contrary, it seems to be just now starting to hit its stride. Awesome should comfortably pass 5 million this year. My jaw legit dropped when i saw NMS was getting VR support. And its full support too not just a specific mode. 2019 is looking like another great year for VR content. Besides NMS the games i'm most looking forward to are Blood and Truth, Iron Man VR, Dreams, Jupiter and Mars, Ghost Giant and Everybody's Golf VR. Also no man sky vr is super exciting, the first time I update nms and playing 1080p 60 fps mode all I think is "man this game will be great on vr". I'm still not really interested in VR, but it's great seeing that Sony are still supporting it. They're fully behind it and I hope it continues to do well. I'd be interested to know what percentage of those use it regularly, or even semi-regularly, though. My mate bought one when it launched, and I tried it out... was even quite impressed with how well it works. But I've not seen anywhere near enough quality stuff for it which would tempt me to buy one. As for my mate... he still has it, but every time I go round there it's packed away in its box in the corner of the room. I don't think he's really touched it since about a month after he bought it and the novelty wore off. As far as I can tell, given comparable time on the market from launch, PSVR is actually selling worse than the Vita. @Paranoimia It's not really comparable with Vita, though, is it? I don't use mine daily but always enjoy digging it out. I understand it's an expensive proposition, but I don't really know why there's an expectation that it's worthless unless you use it daily. I don't even turn on my PS4 daily. I bought my second headset for EUR 99.99 during xmas sales. (it was the OG package - no camera, no nothing, just the PSVR - which was exactly what I was looking for as I already had everything else required from other sales unrelated to PSVR). @deepspace5d in my experience, whoever got to try it, if they did not suffer from motion sickness, they were hooked completely and simply had to have one. PSVR has a great value-for-money position. I hope we will see v2 with ps5. I haven't used my VR headset in a while but I am very happy with my purchase of it. The string of amazing single player games is the main reason for giving VR a rest. NMS give me a good reason to pull it out again. I will find it easy to add another 100 hours in NMS. Having different forms of entertainment just works very well for me. What? Wasn't it a million or so like a few months back? Incredible! It a tad annoying when people compare the total sales of VR to the PS4, even Vita. VR is a completely new market. Gen 1. just getting started. Also when people compare sales of VR headsets to game sales. As though VR is in the same price bracket as a game or as assessable etc. I've waited so long to buy one of these that I'm now past the point of no return and I'm just waiting for them to release the inevitable one without wires/PSVR2. @NintendoFan4Lyf but that's the whole point in VR, you can escape into another world and get yourself engrossed in it, it's far better than traditional gaming imo. @Shepherd_Tallon NMS has really peaked my interest now that it has a VR mode. @johncalmc that won't be till the ps5 and do you really want to miss out on what the ps4 has to offer? unless there will be BC with the PSVR2 headset that is. i'm all for the PSVR2 headset and can't wait to see what sony will bring to the table with it. @huyi I understand its purpose, it's just not something that I would invest my money in. All the power to those who enjoy it! It's a hard "pass" for me. VR for no mans sky is surely going to ship some hardware units. A lot of fans have been holding out for the update. Its good news for anyone for a VR headset as that means more quality games and more people for multiplayer offerings. @get2sammyb I don't know, I think it's quite comparable. It's basically its own format with its own games. Where it is unlike the Vita though, is that you could play almost any type of game on the Vita, whereas VR is really only suitable for a more limited number of styles. I'm not saying it needs to be used every day, I'm just curious what percentage actually continue use it with any level of regularity, compared to those like my mate who have barely touched it since they bought it, making it - essentially - a waste of money. But I digress. My point was that if Sony dropped the Vita because it didn't sell well enough, and PSVR has sold markedly less in a similar time-frame, it's not beyond the realms of possibility that it may suffer the same fate. @huyi It had turned in to a solid experience anyway over the last year or two, but the addition of VR makes it essential if you have the headset. Those numbers still aren't all that. Given the development expense I doubt it is a big money spinner so far. I have coincidentally just found the Mega Pack is now £239.99 which for the headset, camera and 4 of the best games on the system (Skyrim, Doom, Astro bot, Wipeout) plus the VR worlds game is an absolute steal. I have only done VR once and my time with it would definitely be limited but I'm very tempted. I think VR in this sort of form will always be for the enthusiast but I tried the VIVE a while back and it could absolutely be something that changes gaming forever! @NintendoFan4Lyf what if Nintendo started making VR games? Still won't give it a go? @bbq_boy Nope. It's not about platform. It's the actual experience itself. I don't want to completely isolate myself from my family. When I do game, chances are I will get interrupted for something important - whether it be to handle a child or just simply connecting with my missus. I need to be able to engage with the people in my home. @NintendoFan4Lyf I totally get where you are coming from and as someone who barely gets to game any more I really struggle with this. But don't you think you need some time away from it all even if it is only very rarely? Some non-interruptible you time? I certainly do and nothing will make me feel bad about it. I've barely used my PSVR, it's definitely really cool, but most of the cool stuff i've seen has been so bite size in experience mostly being demos only. I think Skyrim VR & Borderlands 2 VR would be cool to play, but I've already played the heck out of those games. However NMS I have never played so this might give me a reason to finally check out the game. I still don't know if 4.2 million units is really a soaring amount, it still feels like such a small drop in the bucket being less than 5% of the user base for PS4. 4.2mil is huge, and Sony knows it. They are winning in this segment and they know growth will come from the symbiosis of PS4/5 and VR, for both platforms. Someone made a comment above about the variety of experiences working for them, I can say the same. For a while I didn't even play any traditional games, just VR, until DMC5 happened. Once I get my fix, I will return to VR. I also have a Switch and guess what, play predominantly in handheld mode. I like where the industry is going with this, but one thing is for sure, VR is here to stay. Planning to get a PSVR this year. @NintendoFan4Lyf totally understandable matey. It can be hard if you wanna keep an eye on the young kids or partner prefers screen time together on TV. I'm lucky i guess cos I've experienced couples and family play VR together. One plays on headset, the others cheering on TV. It's so amazing to see the young kids adapt to VR so naturally though! And then getting their friends to try it out. It seemed to me that PSVR was always testing the waters for Sony. Comparing to Vita is disingenuous. Vita was a culmination of everything they learned from PSP and meant to compete with Nintendo's hundred million selling DS handhelds - the expectations for Vita were much higher from the start. PSVR is a successful VR headset. When it launched, I certainly didn't expect them to support it as much as they did. Those sales figures are super impressive, especially considering the cost for entry. It's clear it's been enough of a success to warrant future investment, and I'll be interested to see where they take it from here. They can't relegate it to expensive peripheral forever if they really want to move in this direction, and they really should because they've got the jump on their major competitors, and they've got the gaming chops to make it great. I will not be surprised if PS5 launches with two SKUs - a base model and a hobbyist model with a PSVR2 packed in. I don't understand people sometimes. VR is not for everyone, it's not cheap but people are surprised its only sold 4.2 million. Over 4m is amazing for a VR device. Consoles didn't always sell 100 million plus you know. Heck the Original Xbox only sold 24m in it's entire lifetime and thats a sixth gen console. This is the first Gen of VR. It's still finding a market. Even the developers are still getting to grips with VR. People just need to get some perspective. @Paranoimia Play Astro Bot, it’s my 2018 GOTY. Think of PSVR as a peripheral, because you’re connecting it to a console (PS4). Unlike Vita, which is a game console itself. VR is still new, still early to gain mainstream attention. @KingSimba PSVR is a kind of hybrid in that sense. It's definitely a peripheral, but it also has its own software which is unusable without it. VR isn't new, though. It's been around for a long time. I used one of the original systems back in the 90s. That said, and new format takes time to catch on. All I'm saying is, it's worth keeping in mind that Sony abandoned the Vita even though it sold almost twice as many units in a comparable time frame. I'm not saying I want it to fail, because I don't. @Medic_alert Don't get me wrong, I do get some "me time" every once in a while. It's just not consistent enough to spend $300+. I know I'm in the PSVR ownership minority when I say I use my PSVR every day. Sparc on a daily basis. Lately a lot of The Mage's Tale. Dirt Rally VR at least twice a week. Wipeout VR. As others have mentioned, this is first generation. The fact that PSVR outsells all competitors is huge regardless of the numbers of units being sold. VR is here to stay. Anyone thinking different is fooling themselves. It's only going to get better. Oculus Quest is going to blow everyone's mind despite being closer to mobile VR. Quest will have WORLD SCALE. Whatever space you have available can be used (sometime after launch, I believe). Find videos of demos & you'll understand completely. One thing irks me to no end regarding marketing of VR headsets... all marketing pretty much ignores the fact that every single VR headset is a personal movie theater. 3D films in PSVR are FANTASTIC. All films in PSVR look great. Regular DVDs too (mostly). And of course you can play every PS4 game you own on a 13 foot or 15 foot or 18 foot virtual screen. Excellent. Had a go on driveclub back in '17 on holiday. Sat in a proper setup too but got motion sickness fairly quickly. Since then I've played headmaster (love it!) and the heist. Really tempted to save for a PSVR because of them. NMS has made it worse. If I could buy one now for it, I would.